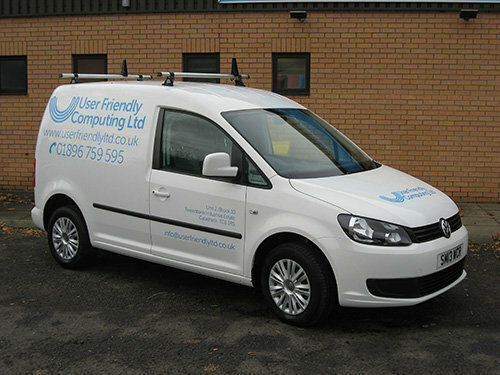 User Friendly Computing are a leading supplier of IT solutions, based in Galashiels and covering the whole of the Scottish Borders. Why waste time trawling online, when you can get a fast, personal service from the experts on your doorstep? Established in 1999, we design, supply, install and support a large range of PC systems, laptops and servers for home, business and educational purposes. With our knowledgeable, efficient and friendly staff, we’re ready to solve any computer problems you might have. We also provide you with quality equipment and sound practical advice. User Friendly Computing in Galashiels has the largest computer repair workshop in the Scottish Borders, and our qualified technicians can repair and upgrade all makes and models of PC, including integrated all-in-one systems. It is great to have a company like this locally, to which we can turn for computer needs. They offer great service in both sales and repairs. After having been to two other computer dealers who said they had carried out repairs, took it to User Friendly and it came back like new. Now running perfect. Would recommend to anyone. I purchased my current PC system from a couple of months ago & they were incredibly helpful & took a lot of time advising me. They also carried out some software work for me in June & were brilliant. I would recommend them to anybody. Being an old numpty who finds computers difficult to operate! 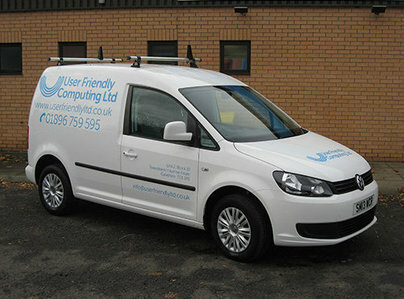 On so many occasions User Friendly have been fantastic. Very helpful, quick to respond, nothing seems too much trouble. Even come out to your home. Can't speak highly enough of them. My problem was addressed immediately and resolved within the hour. Computer has worked perfectly since it was returned to me. This is the 2nd computer/laptop from User Friendly. I've always found them very friendly & helpful. An excellent company to deal with, with the added bonus of being local. Absolutely first class service, with advice and support. Professional service, they really do know what they are talking about. Good customer service. A brilliant job. Very good work. Allways very helpful even over the phone when I have had problems.